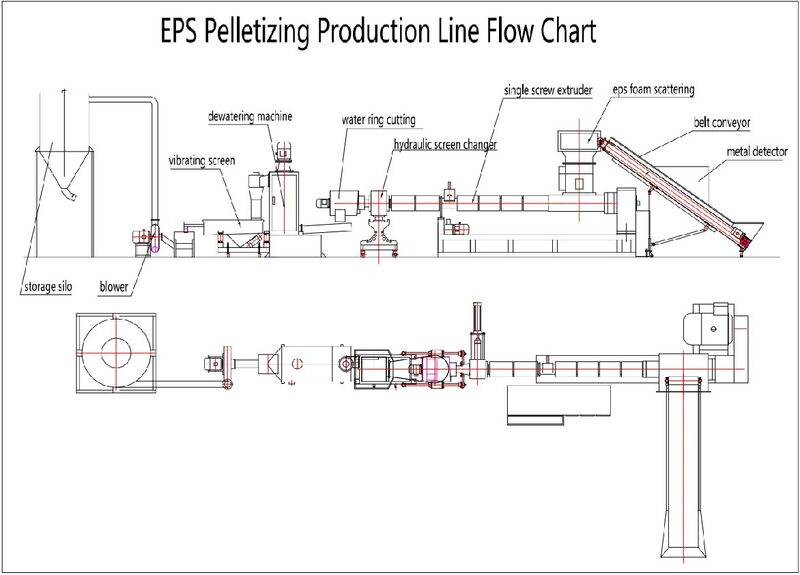 The EPS Pelletizing Machine is composed by screw feeder, extruder, screen changer. Water ring cutting system, fan delivery and control system. Material: EPS ingot, EPS cold compacted block. 1. It has compactor to press the material into the screw,easy to operate and make sure the capacity. 2. With single screw extruder,the plastic can be plasticized totally,keep the capacity steady and without air hole in the final granules. 3. With two different types of cutting way,”noodles” shape cutting and die face cutting(water loop),we can meet your different demands for the shape of granules. 4. With Non-stop hydraulic screen changer, you can exchange the screen when the machine is running. 1. Equipped with the vertical and horizontal force-feeding device to ensure high output. 2. Vent design on the barrel to evaporate the volatilefrom the recycledmaterial. 3. Hydraulic screen change unit and pressure gauge for easy operation and safety. 4. Water chamber with die face cutter to simplify the process. 5. The vertical centrifuge separates and dry the pellets faster. 6. High-efficient force-feeder ensures high capacity feeding, low energy consumption. 7. Plastic pelletizer style: water-ring cutting with extrusion mould, even cutting ensures good shape. 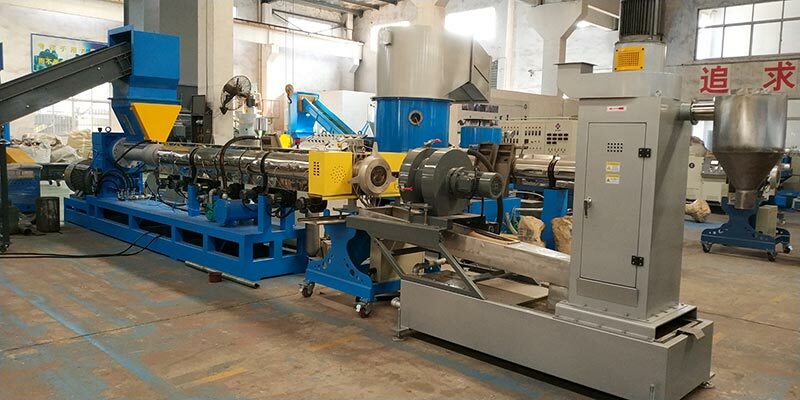 LIANGUAN RECYCLING provides complete pe pp film granulating line, pe pp lump pelletizing line solutions, such as belt conveyor, metal detector, compactor cutter, agglomerator, single screw extruder, hydraulic screen changer, die-head, centrifugal dewatering machine, vibration screen, storage silo, packaging and weighing system, etc.